Members of the Board of Commissioners shall be fixed from time to time by the Board of Commissioners. Demonstrate ready access to resources that can be brought to bear on behalf of the work of the Commission. Complete a pledge form indicating his or her commitment to make a yearly financial contribution to the Commission. Full and consistent participation in meetings and decision-making regarding the work of the Commission, as well as accountable for the affairs of the corporation and maintaining its 501 (c) (3) Tax Exempt Status. 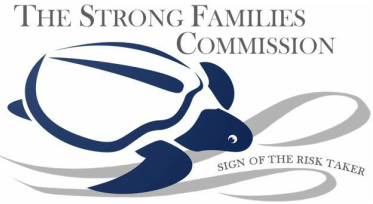 Enthusiastic participation in the analysis and promotion of effective policies and programs that strengthen families, leverage resources to support family formation, and encourage coordination among Philadelphia organizations and beyond that serve fathers and families. Commitment to make individual contributions to the work of the Commission. Active promotion of the work of the Commission, including serving as a spokesperson and/or presenter of information regarding the Commission. Management of their time and schedule to assure sufficient participation within the Commission’s process for planning, development, and actualization of the Commission’s vision and mission. Participation in face-to-face, as well as virtual meetings of the Commission, as called by the Chair. A maximum of one face-to-face meeting per month is anticipated; virtual or electronic meetings are projected to be minimal, as driven by necessity. Mutual respect for other members of the Commission and their opinions. Immediate identification of areas of conflict of interest that may arise. Uphold confidentiality related to the work of the Commission. Maintain objectivity in consideration of new information; including willingness to see a bigger picture, patience with the Commission’s processes, and exhibiting good listening skills in consideration of new information. Understand thoroughly case exemplars of systemic barriers to the involvement of Fathers in the lives and well-being of their children.